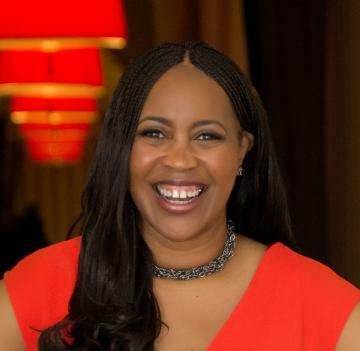 Tanai Benard: Wandering Moms is a Facebook group whose membership consists of like-minded mothers that literally want to give their children the world. As wandering moms, we collectively provide support and resources for those who live abroad and/or are traveling with their children in tow. Wandering Moms is comprised ofÂ a group of fabulous mothers who are single, married, or widowed. Some have newborns, while others are empty-nesters; some are stay at home moms, while others produce six-figure incomes. Our members range from a multitude of ethnicities, cultures, and backgrounds. We often take our relationships beyond the computer screen and bond with each other. There are members who find flight deals, agree to travel internationally together, and help one another along the way. Wandering Moms also has domestic family meet-ups within the United States. Recently, we were blessed with the chance to take 70+ members and children on a tour of the East Wing of the White House and the U.S. Capitol. My co-founders (Libryia Jones and Shauna Jones) and I also attempt to share our travel knowledge with other wandering moms by hosting brunches and live Periscope sessions. The co-founders and I want to make sure our members understand that every mother can give their children the world, regardless of social class or financial status. Exposing your children to the world is not only possible, but also a necessity for them to grow into mature, independent, and well-rounded adults. Initially, I didn’t think traveling the world was a possibility for a single mother like me, despite my early success in the Middle East. I thought international travel was only for the famous, wealthy, retired, or military families. I was content with seeing the Eiffel Tower in movies. However, one day the opportunity to see the Eiffel Tower up close and personal materialized, and I seized it. It is my hope that by spearheading this movement, other moms will see the potential to show their children the world and seize it, too. What advice do you have for moms who want to experience international globetrotting with their children, but are afraid to take the first step? Don’t just take the first step–Â leap into it! I am a living testimony that traveling the world, not only as a mother–Â but a single mother–Â with young children is possible. I firmly believe that you may not know better until you see better, and I am candid about my experience for this reason. Furthermore, don’t allow fear and “what ifs” toÂ consume you. If you aren’t financially and/or mentally ready for an international trip just yet, start small. Begin wherever you are. If you’re afraid of traveling alone, join social media groups like Wandering Moms (there are many other, too!) where you connect with other globetrotting moms who may be willing to traveling with your family. Where can our readers connect with you and keep up with your wandering adventures? Readers can visit our 4 Deep Around the World blog at www.TanaiBenard.com. They can also find us on Facebook at 4 Deep Around the World, Instagram @4DeepAroundTheWorld, and Twitter @4DeepWorldwide. 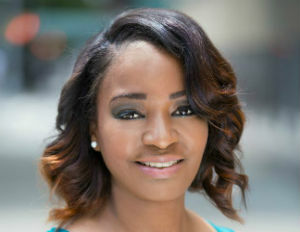 Karima Mariama-Arthur,Â Esq. is the founder and CEO of WordSmithRapport, an international consulting firm specializing in professional development. Follow her on TwitterÂ @WSRapportÂ and visit her website, WordSmithRapport.com.